Training programs such as this are integral to supporting a broad scope of biological questions. 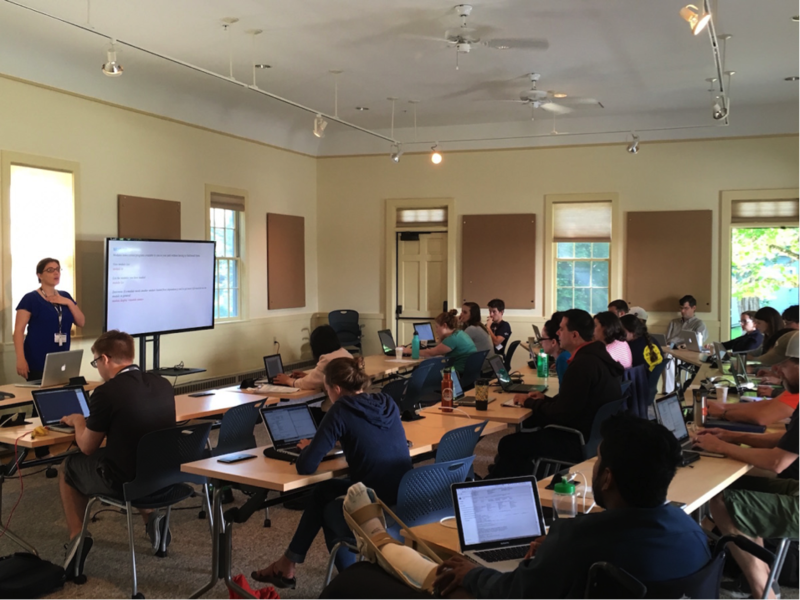 NCGAS (National Center for Genome Analysis and Support) held an extensive workshop providing training in cluster use, bioinformatic analysis, and data management to nine students and nine Postdoctoral Fellows and faculty from 14 universities July 30 – August 6, 2016 at Salisbury Cove, Maine. Participants learned to design experiments, create 96 RNA-seq libraries from water fleas (Daphnia pulex), and analyze the data using the Karst cluster. The data produced during this analysis will be used in ongoing research on evolution and heavy metal response and serves as preliminary data for several investigations. 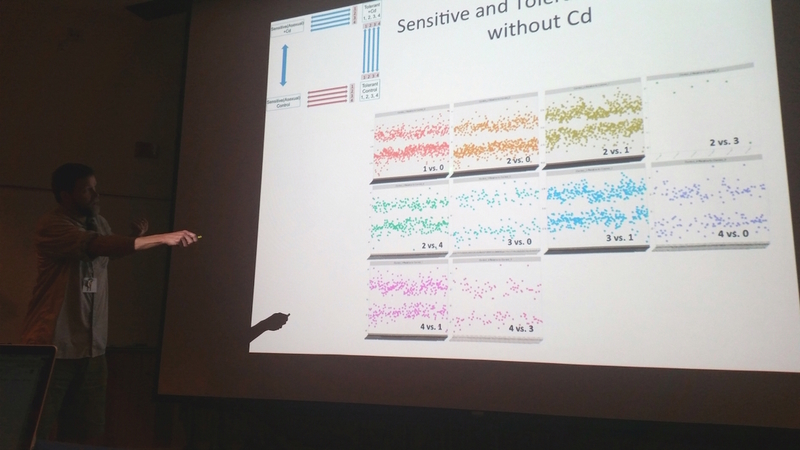 As research in genomics becomes increasingly dependent on large sequencing data, more and more biologists are required to learn how to use high performance computing and bioinformatic programs. These analyses and software are relatively new, but very powerful tools. Most biology graduate students lack the necessary computational training, and many professors and post-docs are new to these methods. Training programs such as this are integral to supporting a broad scope of biological questions. Participant attended the workshop seeking to apply the training to projects ranging from conservation of coastal dolphins to investigation into the causes of miscarriage in humans. The Environmental Genomics Workshop was supported by grants from the National Science Foundation (Grant #1458641) and the National Institute of Biomedical Imaging and Bioengineering (1R25EB022367-01). Caption 1: NCGAS's Sheri Sanders explains some common mistakes new users make on clusters, using personal experience. 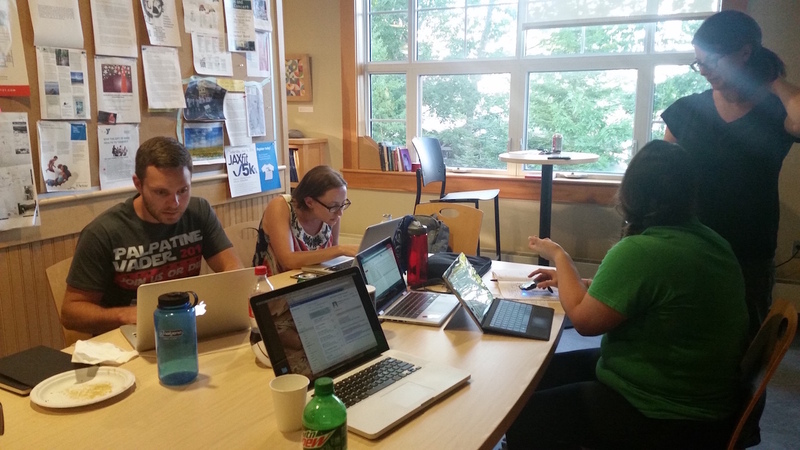 Caption 2: Students work in groups to use their computational training to analyze the large data set on Karst. Caption 3: A professor from Baylor describes his group's findings on the different paths to cadmium resistance in water fleas.